Most modern toothpastes have beads in them. Beads are added to enhance cleansing and refreshing experience. These beads are made up of plastic. Use toothpastes that don't have any beads. We know you like micro beads in your face wash that scrub you clean. Well, their use is not limited to face washes; they are also used in toothpastes, lip balms and moisturizing creams to add colour and texture. But, did you know that even a single tube of face wash contains more than 300, 000 of plastic beads? According to a new research, micro beads used in your toiletries can wreak havoc on the environment. Micro beads are extremely small in size, which makes them very difficult to be identified or filtered. Most water treatment plants fail to catch them, allowing them into lakes, streams and oceans. According to reports, around 19 tons of micro beads could be discharged into waterways every year. Marine animals usually mistake these micro beads for food and eat them, bringing the micro beads to our plates. What's the health impact of micro beads? 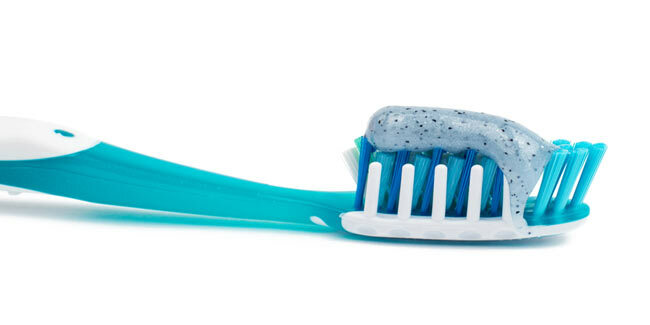 Dentists are raising their concern on the use of micro beads in toothpastes, as these micro beads get stuck in gums after brushing, trapping bacteria that may further lead to gingivitis and other tooth problems. Experts believe that some of the micro beads are suspected to be hormone disruptors, so eating a fish that had micro beads in the stomach could add an unhealthy dose of estrogen-mimicking chemicals. To check for micro beads, all you need to do is look for polyethylene, polypropylene, poly-e-terephthalate, and polymethyl methacrylate on the list of ingredients of any item you purchase from the market. These are some of the most common types of micro beads. What are cosmetics companies doing? Facing consumer pressure, several large cosmetic manufacturers either have already removed micro beads from their products or have pledged to phase them out eventually. The Guardian stated that Johnson & Johnson, which makes Neutrogena, and L'Oréal, which owns Garnier, have pledged to remove the beads by 2017. Unilever phased polyethylene micro beads out of its products, including Dove and Axe soaps, earlier this year.